According to Halifax, the UK’s largest lender Southend saw the largest rise in house prices of any place in the UK during 2012. The area saw a 15% rise in its prices over the 12 months, compared to a 1% fall overall the country. The largest gains in house prices were made in the South East of the Country, whereas the largest drips were in Wishaw in Scotland and Craigavon in Northern Ireland. However, overall there was little change in the housing market in the UK over the period even though there have been large disparities country wide. The best towns are those that are located within commuting distance of the capital and Basingstoke, Rochester and Southend all report rises of over 13%. Halifax has taken these figures from only its lending so it may not be 100% accurate. According to the Land Registry the price of houses in London rose by around 7% and Brighton and Hove followed with a 4.7% gain over the 12 months to October 2012. However, the Land Registry only reports a 2.4% gain in Southend for the same period, which would suggest otherwise than the Halifax figures. The rest of Essex has seen a 1.5% gain on average. One of the factors behind the rise in prices is the increase in the mortgages being lent, which increased a number of times in the year on 2011 levels. According to the HMRC the number of homes bought had been 6% higher than in 2011. There were over 91,000 in November 2012, the highest since December 2009, almost three years ago. UK house buying activity has increased as many people look to companies such as You Sell Quick so they can purchase a new larger home. They believed that this has came about due to easier lending. 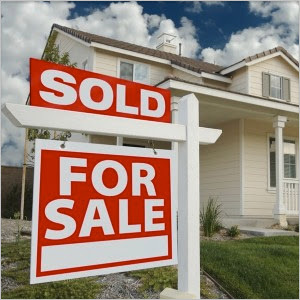 Experts in the housing industry also think that the rate of house buying and selling may increase to an even further degree in 2013. The Council of Mortgage Lenders and the Royal Institution of Cartered Surveyors believe that there will be a rise in the number of homes bought and sold and this activity will be down to the governments Funding for Lending Scheme. This scheme is allowing banks and building societies the opportunity to lend money to first time buyers who wish to fulfil their dream of buying a home. Add to this the low cost of interest and you have the lowest mortgages ever seen, which has led to increases in lending month by month. However, the biggest issue people find is the deposit, which they need to get on the housing ladder. The housing market will improve when lenders start allowing more people to have a mortgage and the government helps build more affordable housing. It must be a tough year but Holiday Letting Agency businesses are still up and renting services are still in demand for tourists. A 15% increase is incredibly high considering on average there was only a percent or so increase. Anywhere commutable to London has not suffered to bad in the property market decline.